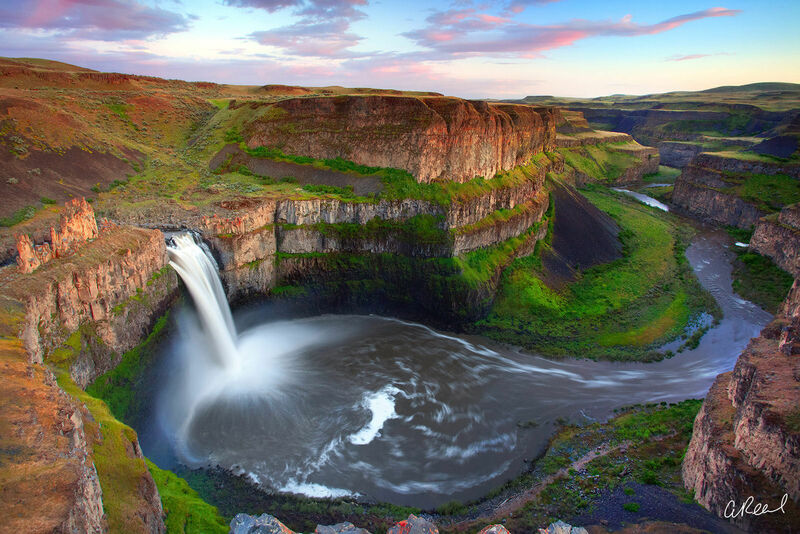 Fine Art Limited Edition of 200 - The Palouse Falls lies on the Palouse River, about 4 mi (6 km) upstream of the confluence with the Snake River in southeast Washington, United States. The falls are 198 ft (60 m) in height. The falls consists of an upper falls with a drop around 20 ft (6.1 m), which lies 1,000 ft (305 m) north-northwest of the main drop, and a lower falls, with a drop of 198 ft (60 m).